Are Your Books Trans Enough? 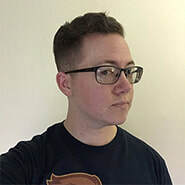 When I first discovered that there was such a thing as transitioning to male back in the early 00’s, it was ahead of the “trans enough” culture that bogged down the broader trans community. Instead, I had to face down it’s much uglier predecessor: if you’re not about to kill yourself if you don’t transition, you’re not trans. I didn’t come out of that fight clean. I let it win, gladly, and slunk back into the closet for a decade. I was only an observer of the trans enough culture that sprang up more recently, a little too old to give a crap, and beyond ready to transition in spite of outside opinions or hurdles. A year ago, I finally felt ready to give my author career a shot again and picked up writing in my favorite genre: queer cis male romance. The MM and larger queer romance communities are fraught with complex internal issues, but there’s a lot of good to be found as well. One of the best parts is the connection I’ve made with other authors and book reviewers. We support each other through ups and downs, promote each other, and continue to make the community feel like an actual community. Through social media know a bunch of other trans men who are also authors of queer romance—something I thought was far more rare and I’m glad to be proven wrong about! But there’s a sticking point when it comes to the broader queer book community and promoting trans voices. Trans Books are more welcome than trans authors. And by Trans Books, I mean books with trans main characters. Side characters and authors alone need not apply. Until the recent trans military ban tweet malarkey, I only saw people offering to rally behind trans books if they fit two requirements: written by a trans author and starring a trans character. This isn’t to say more open and inclusive shout outs to trans authors didn’t exist, but that they weren’t far reaching and were few in number. I’m a trans author who currently has no published works with trans MCs, but almost every story I write involves a transition narrative of some sort. It’s always disguised, hidden in the fabric of my plots, the development of my characters. Why do I write cis characters with trans thematics? Why not write a directly trans MC? Most of the time it’s unintentional, subconscious. Because it hurts. Because I hate to put my characters—and therefore my mind—into an explicitly transitional situation. I’m not done with my transition yet, but I’ve come a long way and literal transition narratives put me back into a headspace I want to leave in the past. So why do I keep writing disguised transitional narratives? Why do I love to read them, too? Because it’s my lived experience. It’s what I know. And I’m drawn to transformational stories—werewolves, sentient zombies, etc.—because they mirror my life in a safely fantastical way. They allow me to see myself, my own struggles, but without the very real pain associated with those struggles. They’re escapist filters. I think it’s important that people recognize trans authors can’t escape their experiences anymore than anyone else, and those experiences—the painful and the uplifting—are going to shape their creative works in one way or another. It might be subtle, it might be overt, but it’s going to be there. Trans authors’ voices have validity and value whether or not they focus on trans characters or trans stories. So I’d love to see the queer book community reject the concept of valuing trans author’s works based on “how trans” the characters are, just like we’ve soundly rejected the notion of judging real people by “how trans” they are. Be open to the myriad stories trans authors have to tell. Nothing made Dave Cunningham want to hibernate in his apartment for the winter quite like shopping for Hanukkah gifts with his brother-in-law. He stared up at the shelves full of brightly colored toys with an internal groan. Only another hour, he told himself. Two if he was unlucky. He fought the urge to plug his headphones into his ears to drown out the omnipresent Christmas music filling the store. “My sister likes getting presents,” Dave said. He couldn’t help but blame her for the deterioration of their family’s Hanukkah celebrations. There wasn’t any malice left in his blame, though, just an understanding of the sad truth. In trying to keep Shoshana invested in and excited about her Jewish heritage, their parents had put them on a dark path to celebrating materialism. It had started when he was in high school and Shoshana was in middle school. First, with her upset at her Christmas-celebrating friends and their incredible hauls of gifts. Then the growing jealousy over not being able to participate in the Santa-spangled sweep of dominant American culture. 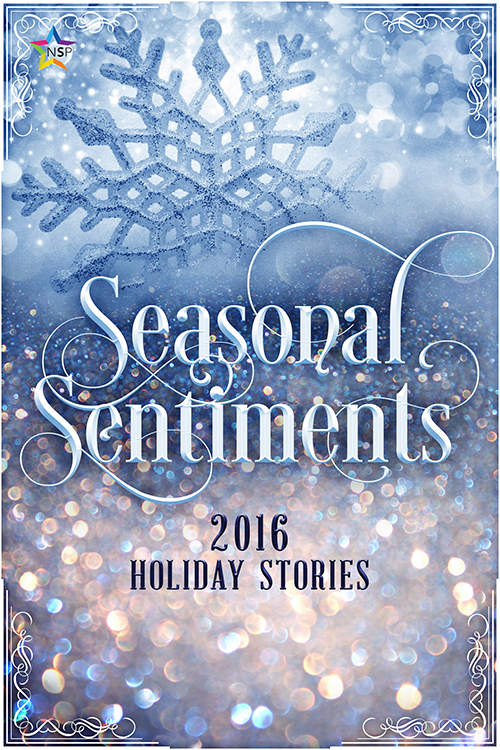 Finally, they’d all endured one too many crying fits and months-long debates about whether or not modern―or historical―Christmas was even about Jesus’s birthday. Their mother and father decided to do what some of their friends had done: one small gift for each night of Hanukkah. And since their father had grown up in a Christian family, he liked the idea of gifts exchanged between everyone, not just from parents to children. For the first few years, the new tradition seemed all right. Shoshana’d been made happy. Dave had even enjoyed helping pick out gifts for his sister and parents. But as time went on, the presents got bigger, and their importance in the scheme of the holiday celebrations almost usurped their father’s latkes. They’d definitely overshadowed the lighting of the menorah and family game time. Dave plucked at the fringe on his blue-and-silver-striped scarf, his mind a jumble of rebuttals. There was more to it than the consumerism, the secular chokehold. He didn’t mind a dash of either. Modernity wasn’t the problem. It was the lack of balance. And the horrible pressure to be thoughtful and tasteful and have enough money to bring material happiness to his loved ones. He’d tried not giving gifts the year before, after explaining his tight budget and distaste of the focus on presents. No one had batted an eye; they’d all been understanding. And then they’d lavished him with gifts and, without meaning to, had made him feel terrible for not being able to reciprocate. It was a vicious cycle he couldn’t break. “Maybe I should just celebrate on my own this year. I could open up my schedule to take more evening shifts at work, make a little extra money. Business is picking up with people wanting to do pottery-painting parties to make holiday gifts. And we’re booked up for three of our five holiday-themed painting classes,” Dave said as he trailed after Jake, hands thrust deep into his jeans pockets. The gleam in his eyes was the same one Shoshana and his mom got when they tried to set him up on dates. Dave groaned and picked up a Magic 8 Ball, flipping it over a few times without reading the message in the inky window. At least Jake hadn’t said the dreaded “you need to find a woman.” Dave had tried dating women, but it had never worked out, for one reason or another. He was too oblivious. Too attentive. Too observant. Not observant enough. And, once, he’d been so lackluster in bed that his girlfriend had told him to stop, thanked him for his time, and walked out of his life. Dating men hadn’t gone much better, if he were being honest with himself. He was no towering gym-honed testament to manhood, with his short stature and soft middle. He wasn’t highly educated, having done a failed stint at one of the local community colleges. He didn’t have much money, though he did have a decent job at his dad’s art studio. Since he’d gotten his own place, he’d been treading water. No one wanted to stick around and join him in his ambitionless pool. “You should swing by the bar Saturday night,” Jake said after placing a dice game in his cart. He smiled at Dave with the brotherly warmth that had been there since high school, when they’d only been best friends, and then reached over to grip Dave’s hunched shoulder. “I’ll buy you a beer if you’ll just show up. You don’t even have to talk to anyone. Just…be present.” He smirked and cocked his head to the side, putting one fabulously thick sideburn and wooden earlobe plug on display. The man was physically everything Dave wasn’t: chiseled muscles, strong chin, tall, huge hands, and slightly wavy black hair that swept perfectly to one side. Amit Cohen straddled that maddening line between men Dave wanted to be and men he wanted to be with. So what if he was a reclusive workaholic? 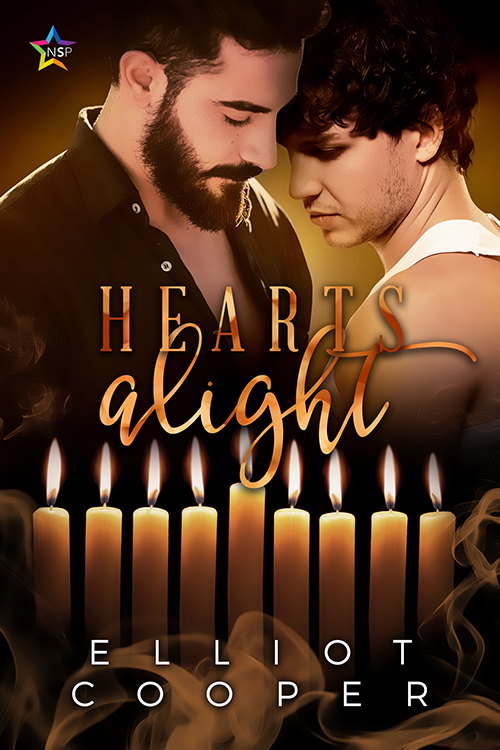 Pingback: Elliot Cooper ‘Hearts Alight’: #RGRTransAwareEvent #LGBTQ #GuestPost #Spotlight #Excerpt | Books After Dark. Pingback: Rainbow Gold Reviews Trans Aware Event | Books After Dark.